Medical Malpractice Help » Medical Malpractice Causes » Hospital » Can You File a Medical Malpractice Lawsuit if a Hospital Visit Makes You Sicker? Find out if you can file a medical malpractice lawsuit when a visit to the hospital makes you sicker. If you went to the hospital for an illness or injury and emerged sicker than when you arrived, you may be able to file a medical malpractice lawsuit and recover damages from a number of parties. The critical question is whether your worsening conditions resulted from a doctor’s or another hospital employee’s negligence. A medical malpractice attorney can review your situation and advise you of your options. 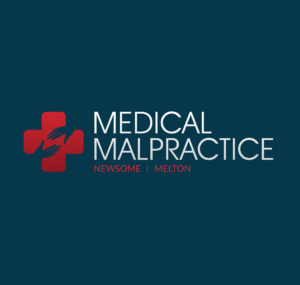 The lawyers at Newsome Melton focus on medical malpractice cases, helping injured victims recover compensation from hospitals, doctors, and other healthcare providers. If a hospital visit made you sicker, we want to hear from you and help in any way we can. For a free case evaluation with a member of our staff, call us at 855-633-2757. For a doctor, hospital, or healthcare provider to be liable for medical malpractice damages, they must have had a duty of care to the patient who is claiming injury or harm. All doctors have this duty to their patients, as do their staff members, such as nurses, physicians’ assistants, and lab technicians. Hospitals have vicarious liability for the actions of any employee who treats a patient. Not all negative outcomes from medical treatment happen because a doctor or healthcare provider failed to uphold their duty of care. Many medical treatments carry risks, and complications are sometimes unavoidable. If we can show, however, that the defendant failed in his or her duty of care to you, we take the next step toward proving liability. A doctor or healthcare provider is in violation of his or her duty of care anytime their actions fall short of what one would expect from a reasonable person in the same situation. Even if you already had an injury or illness when you arrived at the hospital, if we can show that it became worse as a direct result of the defendant’s failure to uphold his or her duty of care, we can demonstrate malpractice. Lastly, we must show where getting sicker as a result of your hospital visit caused you to incur damages. These damages may be economic, such as money owed for medical bills and lost work wages. They may also be non-economic, which may include aspects like pain and suffering and inconvenience. If you became sick or were injured because of poor medical treatment, a number of parties could be liable. The three most common are the hospital, the doctor, and another staff member. The hospital may be liable for your damages if one or more of its employees exhibited negligence in treating you. That is because hospitals have vicarious liability for the actions of those they employ. The doctor is liable when his or her negligent actions cause you to become ill or injured or cause your existing medical condition to worsen. If the doctor is an employee of the hospital, then the hospital may also be liable. If the doctor is an independent contractor, though, the hospital likely does not bear liability. Any healthcare provider, not just doctors, can be liable for medical malpractice when their negligent behavior or wrongful actions cause or contribute to a patient suffering harm. This includes nurses, nurse practitioners, physicians’ assistants, and lab technicians. A medical malpractice lawsuit is valid only when filed within the applicable statute of limitations in a given state. Every state’s laws are different, so if you think you have grounds for a malpractice claim, you should speak with a lawyer right away to avoid missing any deadlines. You may have grounds for a medical malpractice lawsuit if a hospital visit makes you sicker. The facility, the doctor who treated you, or another staff member may be legally responsible. A lawyer from Newsome Melton can help you take legal action and recover compensation. For a free case evaluation with a member of our team, call us today at 855-633-2757. On August 22, 2009, Shannon Trabue’s water broke and she was rushed to the Atlanta Women’s Specialists LLC, a Georgia hospital, to deliver her baby. After the successful cesarean section birth of a little girl, Trabue’s doctors found a spike in her blood pressure. Three days later, still under the care of obstetricians Stanley R.